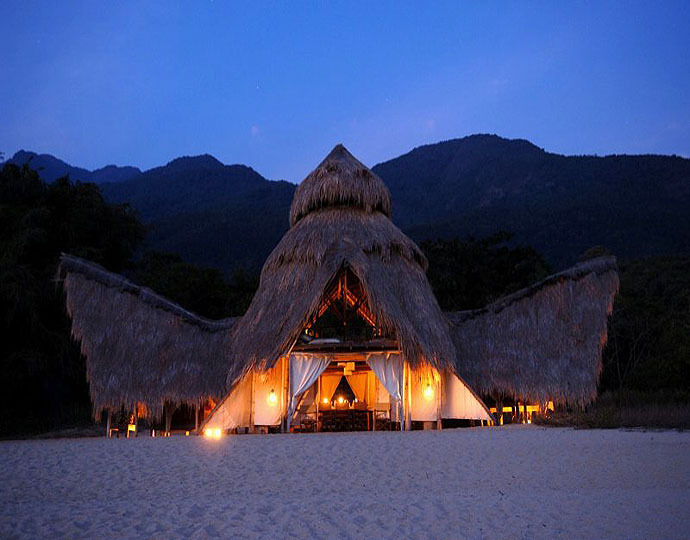 Greystoke Mahale: a unique, high-end camp that sits on a white-sand beach overlooking Lake Tanganyika’s clear waters inside the remote Mahale Mountains National Park. 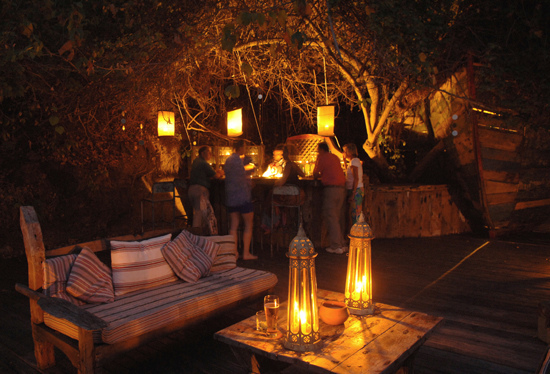 The 6 bandas at Greystoke Mahale are set further back from the beach and nestled into the vegetation. They’re well-spaced out with a good degree of privacy, and all face towards the. 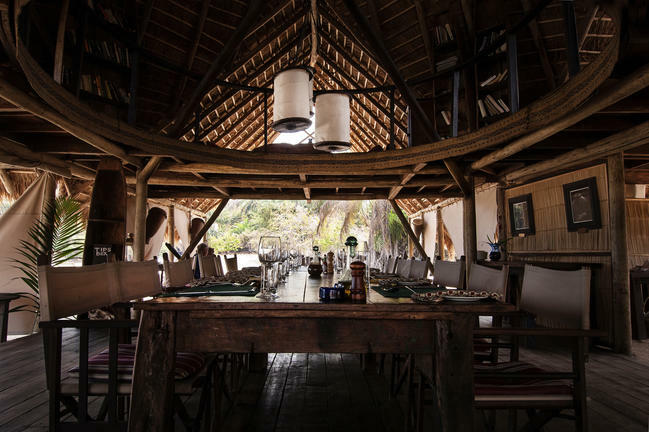 Each double-story banda is broadly the same: they’re completely open at the front, no doors or zips at all – although there are heavy curtains which can be pulled across and secured to the floor if you want a little more privacy. The main frame of each banda is made of wooden poles and bamboo blinds, with a tall makuti thatch roof. 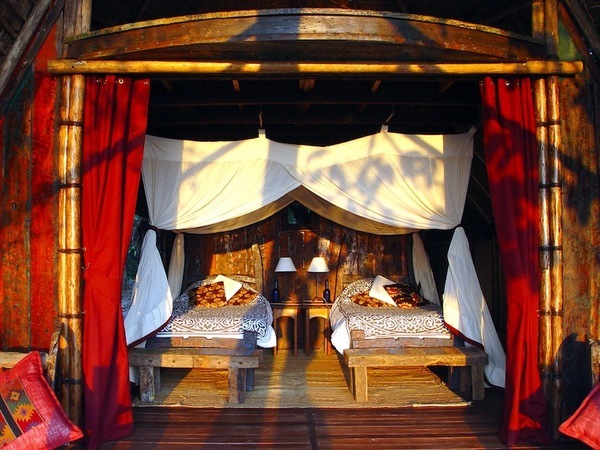 The large four-poster bed stands in the centre of the room, swathed in a mosquito net. It looks out onto a small decking area, furnished with a couple of sunloungers and a small writing desk. The bedside tables have solar lamps, which work 24 hours a day. Behind the bed, there’s a dressing area with a lockable trunk, some space to hang your clothes and a selection of toiletries. 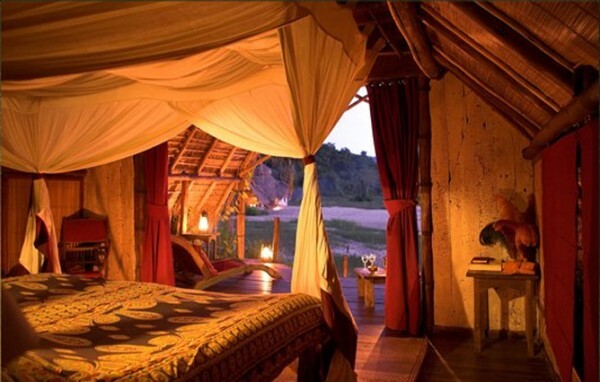 And, at the far back of the banda, is the en-suite bathroom with a flush toilet, shower and sink. From the boat safari service, you can take a nature cruise along the shore and enjoy the beautiful view of the water body.